Banana Bread Beer – Weird or Worthy? 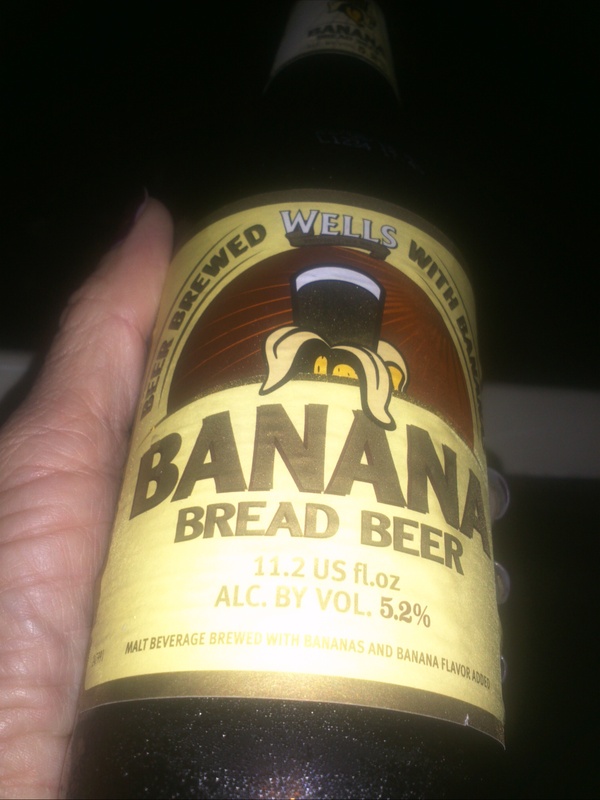 While I’ve seen and heard about the “Banana Bread Beer”, I had never actually tried it before tonight… Imported from England (where Bitters are standard and beer is served “tepid”), I was a bit wary of it – but at happy hour prices, I thought it worth a try. Made by Wells & Young Brewing and imported by Belukus Marketing, the Banana Bread Ale (ABV 5.2%) is definitively Banana Flavored, but not overwhelmingly so that it requires “cutting” (diluting) with a lesser beer. I enjoyed the ale on its own, and made the mistake of ordering food (spicy, no less!) without thinking about how poorly any potential flavors might blend with this sweet ale. *** Note to self: never, ever order anything besides banana bread to pair with this ale!